Price: starts from $72,000 and $ 83,000 for Levante S model. Levante is a warm, Mediterranean wind that can change from mild to gale force strength in an instant. 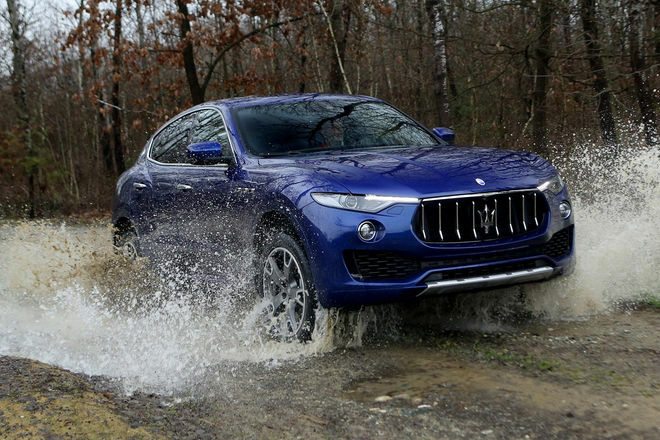 The Levante is an SUV like no other, embodying the passion, the sophisticated engineering and exclusivity that have distinguished every vehicle crafted by Maserati in the heart of Italy since it was founded in 1914. Designed to be unique and built to be heard, the Maserati Levante is destined to make an unforgettable impression offering the ultimate combination of on-road performance and off-road capabilities. The Maserati of SUVs is here.When it comes to power units, the Levante is equipped with both petrol and diesel engines that are all Euro6-compliant. US specific equipment to be confirmed at a later date. 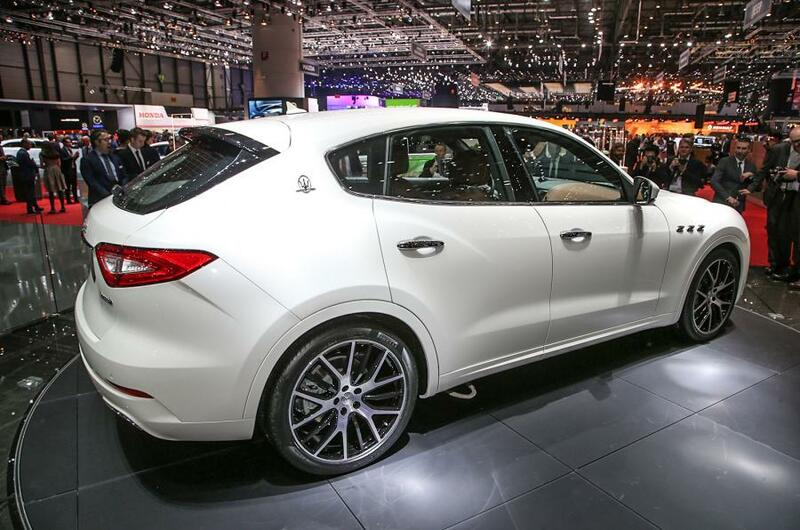 The Maserati Levante is built at the Mirafiori plant in Turin; the first cars have already come off the assembly line with the launch planned for this spring in Europe, to be followed by the U.S. this Fall. 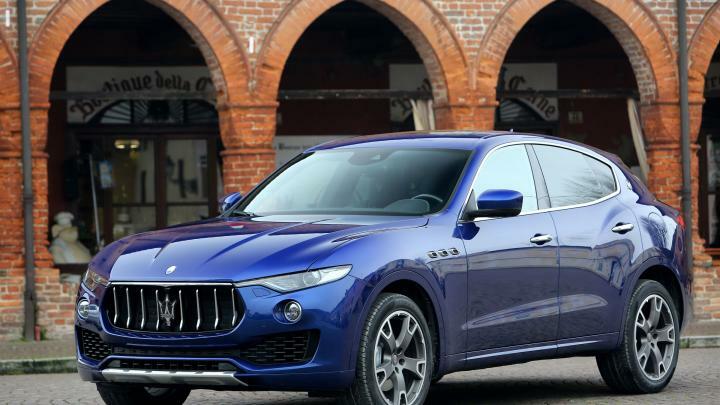 Levante :Maserati’s first-ever SUV features a twin-turbocharged V6 engine and Maserati’s intelligent Q4 all-wheel drive system, delivering performance, luxury and versatility in one powerful and practical package. A zero-to-60 mph time of just 5.8 seconds and a top speed of 156 mph combine with optimal 50/50 weight distribution, air suspension and Maserati’s Skyhook adaptive suspension standard to provide drivers with the on-road driving dynamics of a sports car, matched by the off-road capability of an SUV. the absolute best of Italian design. A unique, innovative SUV style, combining spaciousness with coupé lines, while maintaining a proud link to the Maserati tradition. Starting from $83,000. 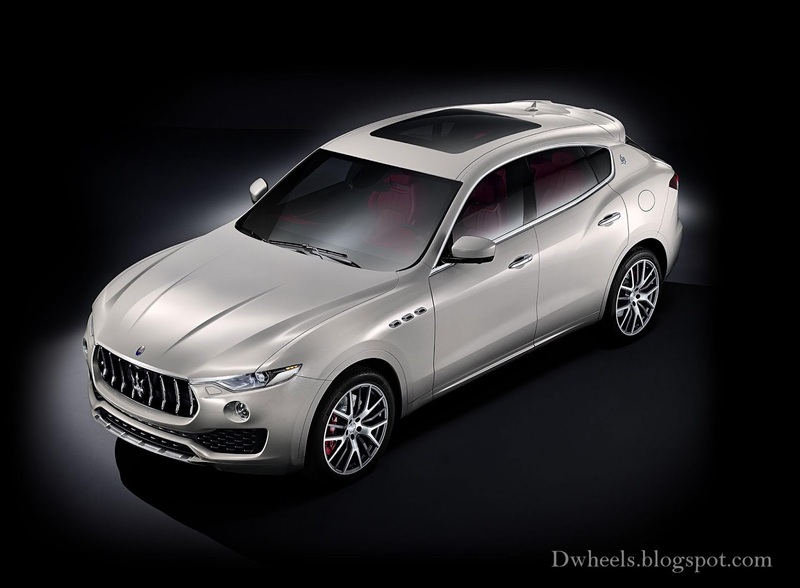 Maserati reveals the exterior form of the Levante, the first SUV in the brand's more than one hundred year history: the new model completes the existing range of sedans and sports cars, extending the offering together with the Quattroporte, Ghibli, GranTurismo and GranCabrio models. 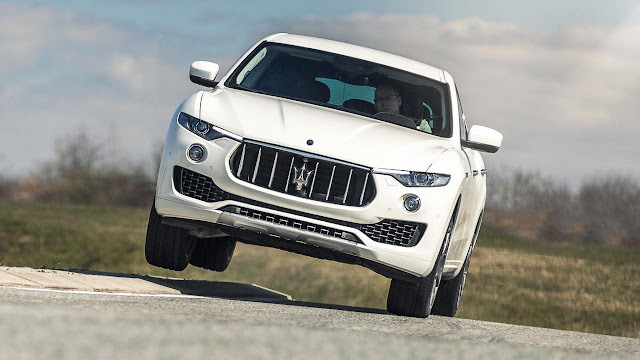 speed, the Levante’s Q4 system reacts instantly: in just 150 milliseconds, the Q4 system can alters the torque split from 100% rear-wheel drive, UP to equal distribution (50%-50%) between the front and rear wheels, to ensure optimal control while delivering the typical Maserati rear-wheel drive experience. Front Lights :The Levante's innovative Bi-Xenon headlights are designed to convey all the confidence and agility that gave the inspiration for the design. They provide special settings, tailored for all types of roads. The available Adaptive Front Lighting System analyzes traffic, speed and lighting conditions, and adjusts the beam automatically, to help provide the best possible visibility and increase driving safety. Side view: From its sleek headlights, to the characteristic Maserati rear pillar, the Levante's side profile is assertive and stylish, with its unique coupé-style look. 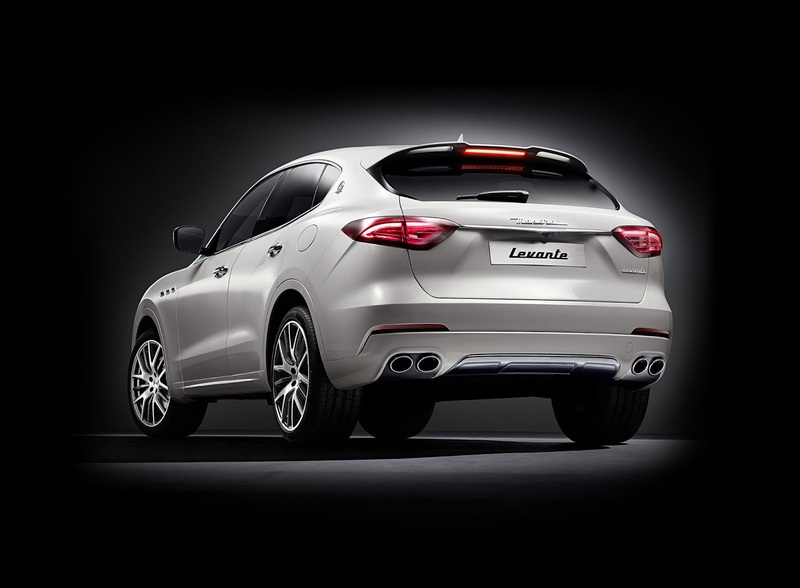 With its frameless doors, distinctive side-vents, and rear wings emphasizing its shape and strength, the Levante features the elegance of a true Italian masterpiece, sharpened by an adventurous edge. Interior: Premium leather, fine woods, handcrafted contrast stitching, and much more -- Levante's interior offers many unique and luxurious finishes. From the premium finishes all the way to technology accessories, the Levante features all of the uncompromising luxury only Maserati can offer. The Maserati Touch Control 8.4" touchscreen provides effortless control over the on-board equipment and features. Fine-tuning the climate control, accessing smartphones via Apple CarPlay or Android Auto, setting a route on the navigation screen, or selecting the perfect soundtrack for your journey are only a tap away. And by using the Aux-in and USB sockets or the SD card reader, the Maserati Touch Control can play music, films or display images. Operated via the car’s key fob or internal and external buttons, the Levante’s power tailgate reveals a 19.4 cu. ft luggage compartment that is able to accommodate enough large suitcases for a long summer vacation – and more. The rear bench seatback can be folded down asymmetrically to take particularly large items of luggage. Safety : ADAPTIVE CRUISE CONTROL (OPTIONAL)Regardless of the weather conditions, Adaptive Cruise Control constantly monitors the amount of space between the Levante and the vehicle ahead, maintaining a constant pre-set distance. If traffic slows or another vehicle moves in front, it slows the car down by coasting or engaging the brakes. Conversely, when the vehicle ahead speeds up or moves into another lane, the system accelerates up to the pre-set speed. Through the Stop & Go function, the system will even brake the car up to a full stop if traffic ahead comes to a halt, and will start up again automatically (or via driver engagement if not within two seconds) when traffic begins moving again. AIRBAGS : The Maserati Levante S comes equipped with six airbags. Two front airbags, both dual-stage, shield the driver and front passenger in the event of collision, while their torsos and hips are further protected by two side airbags located in the front seats. There are also two window airbags fitted in the roof lining next to the central pillar that cushion the heads of the front and rear passengers if the car is struck.